A real estate agent’s busy schedule can be a blessing and a challenge. Busy is great when it means deals are closing and earnings are solid. But if more time is spent on unproductive cold calls, prospecting, and getting online leads, it can lead to frustration and resignation. As a real estate manager, you can make the difference by inspiring your agents to reach and surpass their goals. 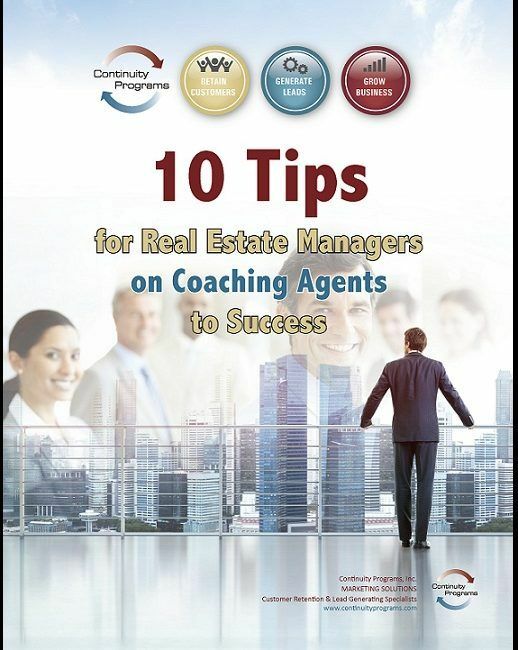 Our latest guide offers 10 proven tips for real estate managers to use in coaching their agents to success. Building a successful and profitable real estate team is an art and a science. It takes constant, consistent management that encourages discipline and skills that agents can use on their way to greater success. In this guide, you’ll learn how to be the master of change your agents need. Discover how to help agents set goals and develop a solid sales discipline. Teach agents the concept of key performance metrics and how to track and monitor their daily performance. Help agents put the fun in motivation by running contests or games. Learn why every agent needs to use Customer Relationship Management software to build a database. When managers consistently put in the effort to help agents set goals, create and execute a plan, and monitor progress, productivity increases and potential is reached. Every real estate agent faces his or her own unique challenges. 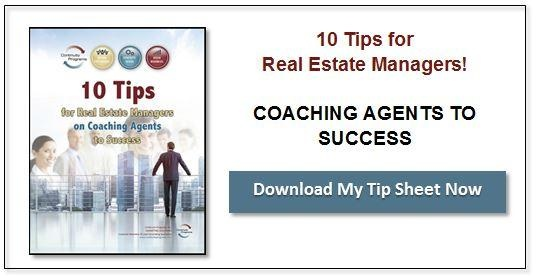 Using these real estate marketing strategies to coach your agents to greater success will help you help them find their individual strengths. Every real estate agent has the potential for greatness, and you as their manager can be the catalyst for transformation.